Since 1959, Concordia Lutheran School has been educating the youth of Peoria and preparing them for success at lifelong discipleship. With tremendous pride of our rich history and strong foundation, we look forward to the future and strive to continue to build on the tradition of excellence that has been prepared for us. We ask you, a valuable member of our Concordia family, to participate in our "Concordia...Tomorrow". Our capital campaign will fund the expansion and renovations to the current facilities of Concordia, which features an EF-5 rated Storm Shelter, a new appealing and contemporary façade, and a 16,000 square foot facilities expansion. The expansion design addresses the specific needs of our facilities related to safety, academics, fine arts and athletics. These improvements will enhance our campus, in order to match the quality of our education. The culmination of a decades long dream. It is the aspiration of the Concordia Lutheran School Board, along with the CLS administration, faculty and staff to be the premier provider of a Christ-centered education for students and families. Concordia Lutheran School will be able to use this new addition as a multipurpose room which will address the needs of all of our shareholders. EF-5 rated Storm Shelter, with a capacity of approximately 350, to accommodate students, faculty and guests during weather related events. New fine arts performance area within the new addition: larger stage and acoustic consideration included in the design. This will allow us to comfortably hold concerts, plays, talent shows and special events such as Grandparent’s Day. Retractable bleachers with a seating capacity of approximately 500. When retracted, two practice courts are available, which will allow multiple athletic practices to be conducted immediately after school. This will minimize evening study/homework disruption for our student athletes. 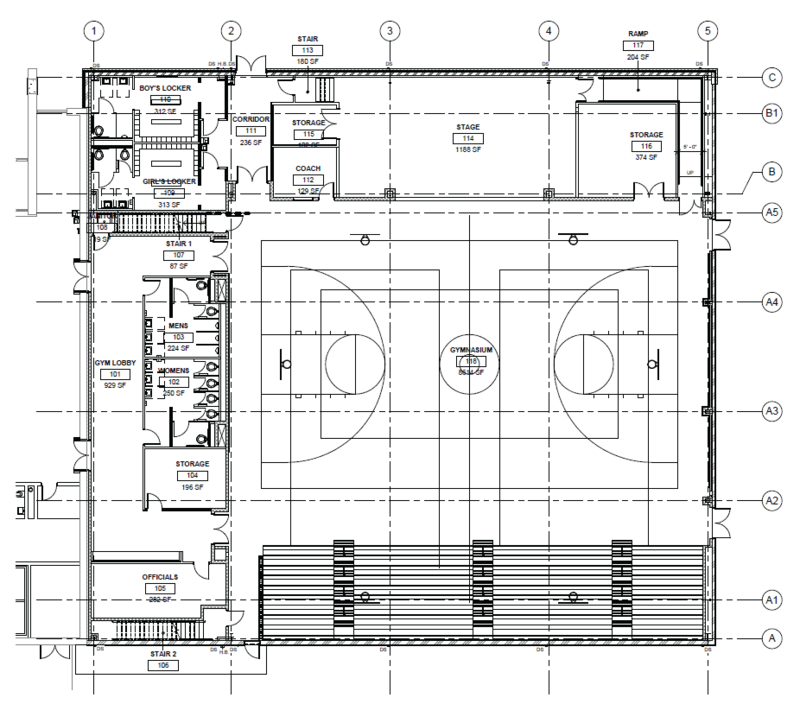 New competition-based athletic facility which will allow Concordia to safely and comfortably hold athletic competitions.